Just 4.5km from Brisbane’s CBD, Coorparoo Square delivers an extraordinary urban oasis, with one, two and three bedroom luxury apartments for rent. Not only boasting panoramic skyline views of Brisbane, residents will also have exclusive access to a range of facilities including a 25 metre pool, full sized tennis court, private dining space and gym. Transforming the space into a dining shopping and entertainment hotspot, an exciting mix of retailers will also call Coorparoo’s retail precinct home, including 10-theatre boutique national cinema chain, Dendy Cinemas, global supermarket chain, Aldi, Beyond the Pale, Hello Harry, Pablano and much more to be announced. 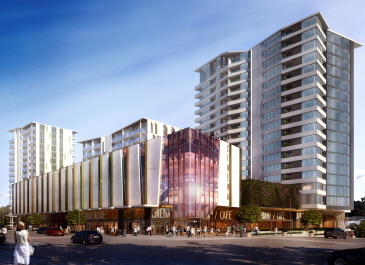 Just a stone’s throw from the city, major employment and education opportunities, all your needs within the retail precinct as well as public transport on your doorstep, Coorparoo Square really does have it all. For more information about making Coorparoo Square your new address, contact the onsite manager at gm@csqapartments.com.au or phone 0435 365 352.